One of my favorite parts of being a professor at SDSU is mentoring students on research. I view my mentees as potential future colleagues. My goal is to provide appropriate training and guidance, while encouraging students to explore new ideas and take risks. I try to convey both the creativity and rigor of the research process so that students can come to see themselves as capable of producing and not just consuming knowledge. The Faculty-Student Mentoring Program provides a wonderful platform for achieving these goals, and I am excited and honored to be a part of it. Students who are engaged in research develop critical thinking skills that will help them in whatever career they choose, and that are especially important for students considering graduate school. I am a cross-cultural, cognitive psychologist with a broad interest in how language and culture shapes human behavior and cognition. In my Cognition and Culture Lab, I have several projects that students can join. One line of studies concerns health and healthcare at the US-Mexico border, with a focus on how structural and cultural factors specific to this region shape people’s causal beliefs about illness, healthcare practices, and treatment choices. In one project, my students and I have been interviewing people living with cancer in the Imperial Valley. In collaboration with an investigator at the Autonomous University of Baja California (UABC), School of Medicine, we are beginning to recruit participants in Mexicali as well. This fall, we plan to extend this work to include individuals living with HIV/AIDS, which is an important concern particularly among migrants in this region. We hope to create collaborative teams of student researchers from the SDSU-IV and UABC campuses that will enrich the experiences of both groups and result in a truly binational research effort. In another line of work, I look at the relationship between language and thought in the area of spatial language and cognition. This work includes studies with speakers of an indigenous Mayan language in Chiapas, Mexico. 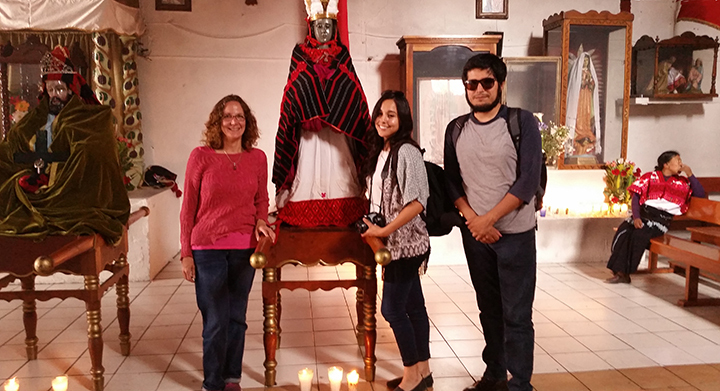 I have taken students to Chiapas in the past where they helped run studies, and I am open to mentoring a small number of highly motivated students on this work in the coming year. Students who join my research group are expected to attend weekly lab meetings where we discuss general research methods as well as specific issues related to our ongoing projects. Students are expected to take an active role at these meetings by being prepared, asking questions, presenting their work, and sharing ideas. Students must be able to commit enough time outside of these meetings to complete assigned readings and tasks, and are required to complete the CITI training on ethics in research. I try to be flexible and respectful of students’ time, interests, and goals. At the same time, what you get out of a research experience will depend on the time, effort, and initiative that you put in. Students can earn course credit for their work through special study or as a senior project or thesis, and are encouraged to present at student and professional conferences. My students in the past have presented their work at the Student Research Symposium at SDSU, at the Annual Meeting of the Western Psychological Association, and at the Society for the Advancement of Chicanos/Hispanics and Native Americans in Science, among other conferences. I also encourage and mentor students applying to graduate school. 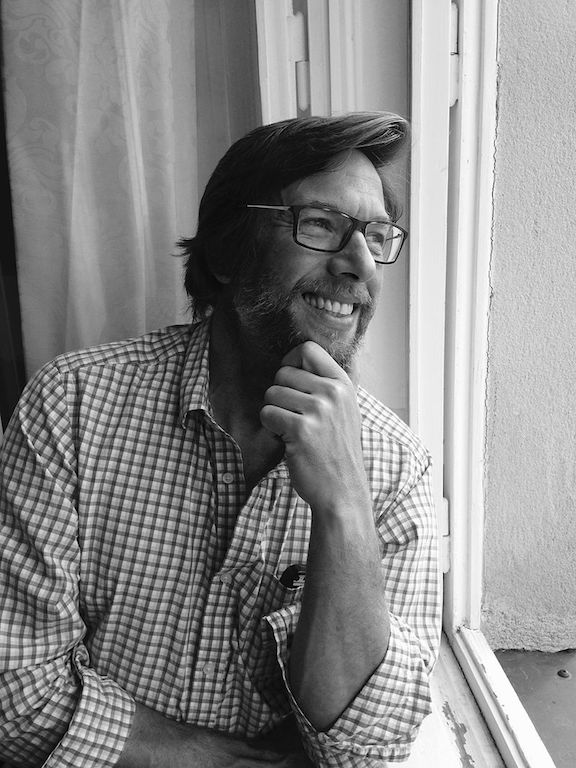 Dr. Appleyard is an Associate Professor of City Planning/Urban Design at San Diego State University (SDSU), where he helps people and agencies make more informed decisions about how we live, work and thrive. He is humanist/futurist working at the intersection of transportation, urban design, and behavioral economics. Dr. Appleyard is one of the lead authors of the American Planning Association’s textbook on The Transportation/Land Use Connection, as well as TRB’s new Handbook for Building Livable Transit Corridors and Livability Calculator. He is also an Associate Director of SDSU’s Center for the Study of Human Dynamics in our Mobile Age and Active Transportation Research Center. Dr. Appleyard combines Geographic Information Systems (GIS) and data with a variety of visualization tools and methods to better engage members of the public in scenario planning, pedestrian and bicycle planning and design, and regional/local transportation & land use governance and policy integration. For the past three years, he has led his team of student researchers in support of SDSU’s Climate Action Plans by conducting comprehensive surveys of campus commute patterns, calculating annual carbon footprints, and developing policy options. He has also recently developed this online Smart Growth/Livability Calculator to help the people of California. He was a recipient of the Robert Wood Johnson Foundation’s Top Ten Living Heroes Awards. 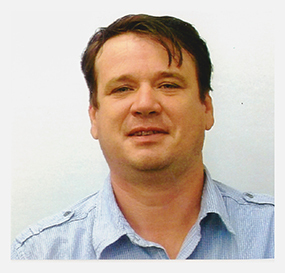 He is also a member of the Mineta Transportation Institute’s (MTI) research team. Dr. Appleyard holds a Doctorate (as well as a Masters and Bachelors) from the University of California, in the town of Berkeley where he grew up. I am a City Planning/Public Administration professor who serves as a faculty mentor for this program in the School of Public Affairs, with an emphasis on urban sustainability, livability, & equity. The Faculty Student Mentorship Program FSMP provides guidance and counseling for students preparing for graduate programs and/or seeking research experience. The mentoring program focuses on developing skills and obtaining experience that will make you a competitive applicant for graduate programs. The experiences gained by participating in the research process (critical thinking, problem solving, teamwork, written and oral communication skills) are valuable for any career. Students who plan on pursuing advanced degrees are much more successful applicants if they have research experience as undergraduates. Research experience also benefits students pursuing careers in government or at other research agencies. You can also get course credit for conducting research, in the form of PA 499. The main goal of my research is to help people and agencies make more informed decisions about how we live, work and thrive, and I consider my work merges humanist/futurist approaches at the intersection of transportation, urban design, and behavioral economics. I have some very exciting research projects going on, from s research projects, from the SDSU Travel Survey to our New Smart Growth/Livability Calculator, with a new initiative to develop a Social Equity Calculator. I am also highly involved in the research related to future disruptive transportation options, and laying a path for the future of street and community livability in the future of autonomous vehicles and mobilities. See this article. Sustainable Transportation and the future of travel. This includes analyzing and designing better streets and street networks. Creating useful new tools to help people and public agencies make better decisions about how urban areas grow and evolve. We will be able to accept a small number of bright, motivated students who want to participate in this program for the 2018 - 2019 academic year. Students involved in our program should expect to commit 10-15 hours per week to research activities, meeting every other week (TBD, but likely Thursday, 10:30 to 12:30), and participating in a seminar focused on preparing students for applying to graduate programs. Clark in the field with SDSU undergrad Mariana Perez taking data on a rosy boa. My primary role as a faculty mentor is to show students that a career as a research scientist is exciting and enjoyable. There are incredible opportunities for research in the life sciences, but many undergraduates are often intimidated by the prospect of conducting research. However, once students are exposed to the research process, they often realize that not only can they actually begin undertaking scientific investigation, but also that doing so is a very rewarding endeavor. In addition to getting students excited about a career as a scientist, research experience helps students begin the transition from being a knowledge consumer to a knowledge producer. Students who plan on a career in scientific research will usually pursue graduate degrees. As graduate students, they will need to be able to work independently, developing their own hypotheses, designing their own experiments, and thinking critically about scientific literature. This is a very challenging transition. Research experience outside of regular coursework will not only help students develop as independent thinkers more rapidly, but will also aid them greatly when applying to graduate school. Most professors only accept graduate students that have already demonstrated a capacity for independent research as undergraduates. However, the benefits of participating in independent research as an undergraduate extend beyond those students in an academic career track. The skills learned while performing research, including critical thinking, problem solving, teamwork, and written and oral communication skills, are indispensible to any career. My laboratory studies animal behavior, and how the behavior of individuals affects population processes and community dynamics. We are currently initiating a wide range of research projects, including studies of predator-prey interactions, social behavior, mating behavior, conservation ecology, and molecular ecology. We use a combination of field and laboratory studies. We work on a diverse array of species, but the majority of our work is conducted with reptiles and amphibians. Almost all of our projects involve observational and experimental approaches, and often require a fairly large team of researchers to monitor and record the behavior of both free-living animals, and animals that are part of our captive research collection. Many of our projects involve multiple goals or questions, each of which may be a small contribution in itself, but which plays a critical role in illustrating a bigger picture. This means that well-trained undergraduate students often have the opportunity to take on a part of our research program as their own, becoming the primary individual responsible for that component of the program. This style of research (with many small independent projects working in a larger system of objectives) is ideal for students becoming involved in research for the first time: they get to experience truly independent thinking, analysis, and ownership of their project, but under the guidance of mentors who can help them fit that research into a broader scope and context. I anticipate that those students who display a deep commitment to their work will be able to present the results of their research at national meetings, and become authors of scientific manuscripts that incorporate the results of their independent research. Undergraduate students involved in our program should expect to commit 10-15 hours per week to research activities, including participation in our weekly lab meetings, and participation in a weekly research seminar focused on introducing beginning students to the basic practices of animal behavior research. Students will also need to complete basic training for working with live animals, and will be expected to devote some nights and weekends to field research in and around San Diego County. Beginning students will gain research experience by working on research projects already underway, overseen by myself, my graduate students, and advanced undergraduates. Students who demonstrate adequate progress through the program will be able to then undertake their own independent research projects. Summary: Many snakes rely extensively on chemosensory information to identify and locate their prey. The degree to which snakes respond to chemosensory cues derived from their prey is often used as a measure of predatory specialization. Evidence from previous studies suggest that Eryicine boas native to North America (the rubber boa and the rosy boa) specialize on preying upon the nestlings of small rodents (mice, voles, rats, and rabbits). Our goal in this project is to examine the chemosensory behaviors of captive-raised rosy boas to determine whether they exhibit strong responses to chemosensory cues from nestling rodents, as opposed to adult rodents that have no nestlings. To accomplish this goal, we examine the responses of rosy boas to clean nesting material, nesting material soiled by rodents with no dependent young, and nesting material from mothers that are currently rearing litters of dependent offspring. Summary: Recent research examining handedness in nonhuman primates has revealed that hand preference exists at both the population and individual levels, dispelling the historical belief that handedness is a uniquely human trait. Expanding our understanding of manual lateralization in nonhuman primates will provide insight into the laterality of function in the human brain. In the past three decades, research into this topic has greatly increased in three main primate species, the gorilla (Gorilla gorilla), orangutan (Pongo pygmaeus pygmaeus) and the chimpanzee (Pan troglodytes). Recent research has not revealed a unilateral preference across populations and has failed to reach a consensus on the presence of handedness in these species. Additional research into manual lateralization in a range of nonhuman primate species is necessary to reach a firm conclusion on handedness in nonhuman primates as a whole. Many gibbon species are known to walk bipedally both in captivity and in the wild, which makes them excellent candidates for handedness studies. The present study examines hand preference in 3 captive siamangs at the San Diego Zoo. This study seeks to determine if this population exhibits a significant hand preference across four behaviors, 1) spontaneous feeding, 2) grooming of self and others, 3) brachiation initiation, and 4) the primary hanging hand. Summary: Genetic diversity is essential to the long-term survival of populations. Populations that are isolated, with no genetic connectivity or dispersal of individuals from nearby populations, can rapidly lose genetic variation through genetic drift and inbreeding. Inbreeding depression is exacerbated in many populations by the increasing rate of anthropogenic habitat fragmentation. Therefore, measuring the extent of inbreeding depression and genetic variation should be of primary concern for isolated populations. Timber rattlesnakes (Crotalus horridus) are medium-sized pitvipers inhabiting the deciduous forests of eastern North America that were formerly abundant and widespread throughout the eastern United States, with a range that extended northward into Vermont, New Hampshire, and Maine. Within the last century, timber rattlesnake populations have undergone widespread declines and range contraction; the species has been extirpated from Maine, and only one known hibernaculum exists in New Hampshire. The remaining New Hampshire population is isolated from any other known population by ~50 miles, well beyond the range over which individuals could emigrate. In this study, we use selectively neutral microsatellite markers to examine the genetic diversity of the only remaining hibernacula of timber rattlesnakes in New Hampshire. We compare the genetic diversity of the New Hampshire hibernaculum to six hibernacula found in northern Adirondack area of New York, which are connected to each other by relatively intact habitat. During my tenure at San Diego State University I have mentored numerous students ranging from high school students, undergraduate, Masters up to Ph.D. students. It is my privilege to have been involved in a number of mentoring and training programs. Most prominently these include a NASA sponsored Undergraduate Mentoring Program in collaboration with MESA (the Mathematics Engineering and Science Achievement program) and the industry sponsored Center for Industrial Training and Engineering Research (citer.sdsu.edu) which I currently direct. These programs have formed my mentoring philosophy that revolves a mentoring pipeline that prepares to enter the STEM work force. I recruit students at an early stage (high-school/undergraduate level) and expose them to project work that ranges from industry funded work to fundamental academic research in the areas of hypersonic flow, turbomachinery, and computational science. Project work teaches students essential engineering tools. The mentoring pipeline enhance communication skills and leadership through cross-pollination and mentorship between students, myself and industrial staff members. Acquiring the skills needed to help produce information that will capture the attention of policymakers regarding a pressing social problem and potentially improving the lives of others is one thing. But those who study higher education (e.g., Kuh et al. 2005) have long known that sustained student-faculty contact, cooperation among students, active learning, and high expectations (as well as prompt feedback, time on task, and respect for diverse talents and ways of learning) – those things students will experience if they join the mentoring opportunity I will offer – are crucial for another reason – personal growth and long-term success. Having a year-long undergraduate research experience that emphasizes a statistical CBPR approach improves a student’s ability to think creatively, to entertain explanations for problems in a systematic rather than emotional manner, and thus to succeed in whatever professional career he or she selects. In short, acquiring the skills to do meaningful statistical work that may improve the lives of others does not necessarily require forfeiting enjoyable and well-compensated work. The mentoring experience I will offer this year will teach students how to develop a survey that can capture information that is representative of some geographically circumscribed population (e.g. unauthorized migrants, homeless residents, SDSU undergraduates), and thus generate information that may be used to answer some contemporary policy issue. For instance, what factors explain whether undergraduate students ever participate in a rigorous research experience? How many unauthorized migrants reside in a metropolitan area? How does occupation, family situation, neighborhood environment and personal networks influence whether immigrants integrate successfully? How important is having health insurance and access to medical care for understanding disparities in health? The survey and analytical projects we will undertake this year will aim to answer such questions. Some students will use data we have collected from legal and unauthorized Mexican, Brazilian and Dominican migrants in Los Angeles and Boston. Others may prefer to use new data we will collect from SDSU students to investigate factors influencing who participates in research as undergraduates. Students who become involved in this mentoring opportunity will need to commit 10-15 hours per week during 2009-2010 academic year to research activities (including reading, participation in a bi-monthly seminar, fieldwork, data analysis, and writing). Students will also complete SDSU’s online human subjects’ training program, learn how to submit a proposed project to the Institutional Review Board (IRB) to obtain approval, and co-author an article with me to be submitted to an academic journal of our choice. I have been mentor in the Faculty/Student Mentoring program since 1991. However, my role as a mentor for student extends throughout my 30 year teaching career. My mentoring has been grounded in understanding of the findings of the scholarly literature on undergraduate retention and success. It also builds upon my extensive experience in research institutions as a teacher, scholar and mentor. Many of the students that I have mentored have been first-generation college students, often from disadvantaged backgrounds. Most have aspired to pursue graduate or professional study. 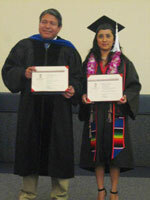 I am very pleased that these students have been able to persist and graduate at SDSU; upon graduation many have pursued advanced study at institutions such as Harvard University, University of California, Berkeley, UCLA, USC, Columbia University, the University of Michigan, SDSU, as well as other institutions. 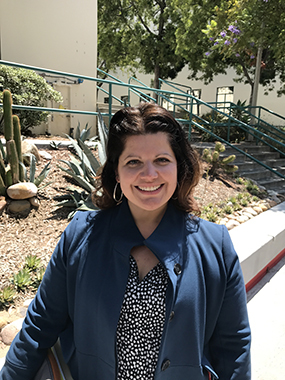 The students’ achievements also include designation as CSU Sally Casanova Scholars and receipt of fellowships such as the California Senate Fellowship. Although I am unable to personally interact face to face with these students as often as I would like, I am fortunate to have been able to sustain my relationships with the students via email or phone. Our relationships are characterized by respect, support, and commitment to excellence and achievement. To many of these students I am known as “Dr. O”, an appellation that was developed by some of the students in the mentoring program. Moreover, I continue to regard the students as part of my extended family. I am grateful that during my twenty three year tenure at SDSU I have been repeatedly recognized by the university and students for my teaching and mentoring contributions. The recognitions include the SDSU Academic Senate’s “Excellence in Teaching” award, “Outstanding Faculty” award by graduates in Chicana and Chicano Studies, and faculty honree by several recipients of the SDSU “Quest for the Best” award. In 2006 I was also recognized as “Local Hero in Education” for my mentoring contributions by KPBS and Union Bank. The recognitions attest to my commitment to promoting student achievement and excellence. My recent mentoring has focused on transfer students from local community colleges. The goals of my mentoring include: enabling the students to successfully adjust to academic life at SDSU; educating students about the nature of a research oriented university, the nature and purpose of scholarly research, the role and significance of mentoring and the paths to success in higher education institutions; facilitating the integration of students into the academic life of the university, providing opportunities for students to acquire research experiences and to access programs that will enable them to develop research skills, and experiences, as well as obtain support for research; promoting the development of the traits, habits, abilities and knowledge necessary for the pursuit of graduate study and careers as teachers and scholars in institutions of higher education; and, developing a commitment to community and university service on the part of students. Mark’s is a Social Science major. 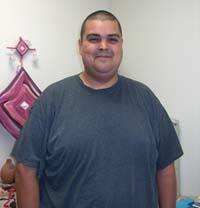 After graduating from SDSU he aims to enter a Sociology or Ethnic Studies PhD. program at Berkeley, Stanford, or UCSD. His ultimate goal is to be a professor of sociology and contribute to academia by advancing knowledge about minority groups and the inequalities that they face everyday in America. In addition to successfully completing his studies, Mark achieved two major honors during the 2008-2209 academic year. He was selected as a scholar in the SDSU Ronald McNair Scholars Program and designated as a Sally Casanova Scholar in the California State University Pre-Doctoral Program. The first program “prepares talented in the pursuit of a doctoral degree in higher education.” Under the program twenty five students are selected to receive stipends to conduct research with faculty mentors, write research papers, and present their work at conferences. Throughout the summer of 2009 Mark will be conducting research on educational inequalities in San Diego under the supervision of Dr. Kyra Greene, Assistant Professor of sociology. As described by the CSU, The California State University Pre-Doctoral Program is “designed to increase the pool of university faculty by supporting aspirations of individuals who are : current upper division or graduate students in the CSU, economically and educationally disadvantaged, interested in a university faculty career, U.S. citizens or permanent residents, and leaders of tomorrow.” Students, like Mark, who are “chosen for this prestigious award are designated Sally Casanova Scholars as a tribute to Dr. Sally Casanova, for whom the Pre-doctoral scholars are named.” The students are exposed to unique opportunities to explore and succeed in doctoral programs” under the supervision of faculty mentors. Mark will explore the opportunities under the supervision of Dr. Isidro D. Ortiz. Mark was one of only 70 students selected from an applicant pool of 258 CSU graduate and undergraduate students. The goal of the COE FSMP is to develop an interest in and understanding of educational research in undergraduate students, whose career path is multiple or single subject education. It is critical for students to have the opportunity to research educational issues. The purpose of the COE FSMP research program is to engage undergraduate students in research and extensive collaboration so that they expand their understanding of complex issues in schools and the achievement process. One of the major purposes of this program is to involve undergraduate students in actual research being directed by a College of Education faculty member. The research to be conducted during the 2008-2009 academic year addressed the following research question: How do fourth and fifth grade bilingual students characterize a “good” teacher? 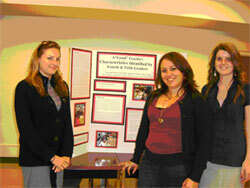 The COE FSMP team presented their research in February, 2009, at SDSU’s student research conference. The team interviewed individual students, transcribed interviews, coded qualitative data, analyzed data, identified findings, and discussed implications for the classroom. This year, 2009-2010, we will continue in this research by observing and interviewing exceptional teachers. Case studies of teachers and their characteristics will be developed and written. The data collected about a “good” teacher from teacher participants will be compared with evidence collected from fourth and fifth grade participants of the 2008-2009 research study. One of the most important benefits of the COE FSMP program is the opportunity to get to know other students who are also planning to become teachers. Students share information about their classes and visions for the future. In addition, students in the program more fully identify key characteristics of a “good” educator and work towards the development of those crucial skills. Over the past ten years I have seen much growth in the students who participated in the FSMP program. I find that the students are exceptional people who hold a strong desire to be the best teacher! Commitment to Mentoring: The Pre-College Institute, which I direct, offers ten students per year an opportunity to work collaboratively with me and selected members of my staff as our protégés or mentees in various educational research activities focused on establishing the effectiveness of educational models of professional training, or innovative teaching /learning interventions in high need public schools. The Faculty/Student Mentoring Program housed in the Pre-College Institute aims to support, assist, and motivate each protégé in the acquisition of skills, knowledge and ways of thinking that will promote his/her individual development as a scholar and a thinker. In addition the program offers each protégé psychosocial support that is relevant to possible work, career, and professional advancement in life beyond the baccalaureate. Protégés are selected from social science fields applicable to educational research such as anthropology, psychology, sociology and public health. Aspiring protégés should have achieved junior status, be eligible for work/study financial aid, and evidence a commitment and interest in their own personal and professional growth. Native proficiency in a language other than English spoken in San Diego public schools is highly desirable. The prospective protégé must make a one-year commitment to the program. The keystone of the program is the development of an authentic professional and personal relationship among the protégés and between each protégé and his or her mentor. The mentoring relationship is guided by this mentor’s commitment to an ethic of caring (Noddings, 1984). The Pre-College Institute (PCI) mentoring model aims to create a safe, open environment in which each protégé can both learn and try things for him- or herself within the guidelines of the selected evaluation research paradigm. The PCI model also offers protégés the opportunity to work in an apprentice role to an experienced educational researcher. Commitment to Research: Protégés for the 2009-2010 academic year will engage in qualitative educational evaluation sponsored by a subcontract to the Mentor from UCSD and funded by the United States Department of Education. The research seeks to establish the effectiveness of a four-stage professional development model for science teachers. The subject matter focuses on bio-engineering at the molecular level and specifically deals with transformation of DNA and the protein purification using fluorescent proteins developed by Dr. Roger Tsien’s laboratory at UCSD. Dr. Roger Tsien is this year’s Nobel Prize winner in chemistry. 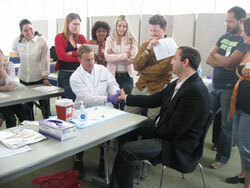 Training: Protégés participate in observational trainings on campus and at UCSD. They attended weekly team meetings that are conducted on the graduate research seminar model. All protégés must maintain excellent attendance at trainings and at the weekly seminar meetings and show growth in their ability to observe instructional interaction between teachers and students and between trainers and teachers at the training sessions. During the second semester those protégés who have completed one semester of research training will be placed with science teachers in Sweetwater Schools who have participated in the professional development model. Outcomes: Protégés are expected to produce a professional presentation and a paper at the end of their third semester with the program. One of the roles I most value at SDSU is that of mentor. To have the opportunity to work closely with students as they discover the exciting world of research is a privilege and gift for me as a professor and scientist. My research deals with the organization and delivery of health services and how we can improve them to make sure that they are delivered in a way that ensures they are not fragmented and they reach the people that need them, when they need them, and that they are safe, effective, timely, efficient, patient-centered, and most of all, equitable. I use maps (Geographic Information Systems – GIS), surveys, and data (statistical models) to study the relationship between where healthcare is delivered (by hospitals, clinics, etc), how it is delivered (hospital services, Emergency Room, patient education, etc), and the outcome of these relationships which we measure in different ways, but in general refer to as quality. My approach to mentorship is to engage students where they are, build with what they know, and support their curiosity so that they can persist through the rigor that is required for good science. Rigor refers to the long, sometimes frustrating and redundant need to ensure good methods, best practices, and adherence to protocol that is critical to ensure hypothesis testing, replication, and reproducibility that ensure we are able to make new knowledge and answer the questions that we have. Students must be willing to commit, and curiosity makes commitment easy, by finding a part of my research that is interesting to them I make sure they are engaged in the topic area which still starting to cover the basic tenets of research methods. We start with an overview so that they can see the purpose, then we dig in with understanding literature and evidence, searching for evidence to understand what’s been done before, looking at data, information, talking about science, mostly depending on the interest of each student. In addition, due to my cross-disciplinary work I also like to expose students to different investigators and field experts doing exciting work in the fields I collaborate with including geography, psychology, business, healthcare and hospitals, engineering, computer science, robotics, cancer outcomes, and more. Students will learn about graduate school, data management, statistical analysis, and interacting with diverse academic and professional groups, etc. The key to a multi-disciplinary lab is to make sure that students are engaged with me and with each other in problem-based learning that contributes to a goal that is going to bring them short-term wins and fuel curiosity for long-term research careers. I encourage rising sophomores and juniors to consider an experience in the FSMP program where they can learn skills that are transferrable across research and professional settings willing to dedicate 8-10 hours a week. Through series of group and one-to-one meetings, Prof. Zheng leads her student protégés to develop skills in research and helps them select their own research topic based on personal interests. 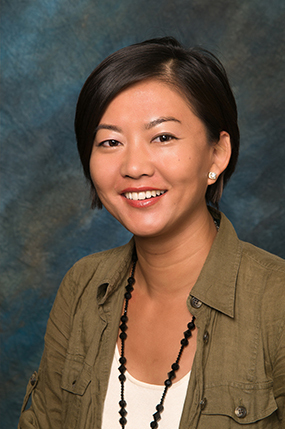 Prof. Zheng mentors her students to develop and execute their own study of publishable quality. In addition, she encourages her protégés to present their work in Student Symposium and professional or academic conferences. For students who is interested in conducting market or business plan research, she assembles a team of faculty and business owners to mentor their work. She focuses on using design thinking approach to facilitate student finding their own passion, getting an in-depth understanding of the chosen markets and customer development.